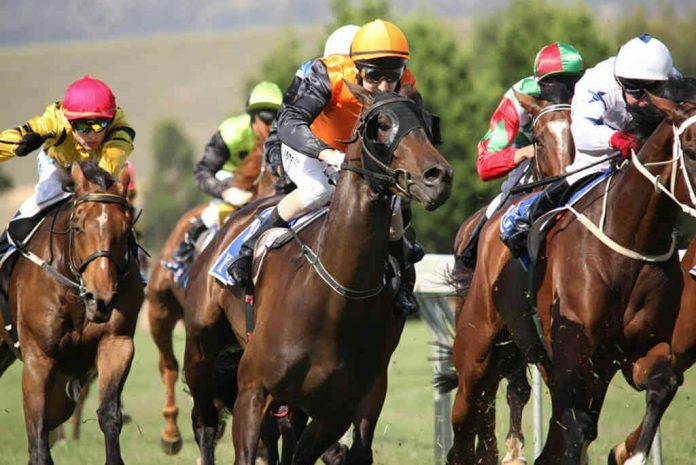 Blackbookers: Race 6 – YOGI. Race 1: Castanach’s Jewellers Handicap 2YO 1100m. SUNSET WATCH (1st) was heavily backed after a dominant last start win, he rolled to the front and controlled the tempo in a race where there were no moves, was cuddled into the straight before being let down for a comfortable win. He was never in any danger and with his tactical speed he will win many more races. Notes: SANGLIER (2nd) was also impressive, he sat in the box seat and was held-up early in the straight when seemingly travelling ok, got to the outside and made good late ground into 2nd although never looked the winner. No excuses for anything behind the impressive winner. Race 2: Noel Rundle Handicap Mares 1100m. Notes: CRYSTAL FOUNTAIN (1st) had the perfect run, sat three-wide with cover before moving up four-wide at the top of the straight. Although she was a little wayward in the straight and the jock had to straighten her up a couple of times, she ran on the best to win. OUR GLADIATOR (2nd) had every chance in front, HEAR THE CHANT (unplaced) was three-wide without cover but found nothing when asked early in the straight. SCUZI (unplaced) and PERFECT STATURE (3rd) were both held-up for most of the straight, the former was all over the back of them for the majority. Race 3: Bill Collins Handicap BM78 1400m. Hard to say that there were any excuses behind impressive winner RUNSON (1st). He was stepping right up in trip today, sat outside the leader, went for home at the turn and the margin just kept widening. It was the win of the day no doubt and the improvement getting out to the 7 furlongs was huge. Notes: LIZARD ISLAND (unplaced) certainly had no luck at big odds, he was behind the leader before that horse stopped at the top of the straight and the jock continued to look for rails runs, finally getting one all too late over the last 100m. CHIPPENHAM (2nd) was ok late after getting a split but never looked likely. Look for him getting out to the mile. Race 4: Bert Bryant Handicap 3YO Fillies 1100m. GOLDEN LUSTRE (2nd) was the run of the race here. She led and was pressured to the outside early, she kicked through, railed hard and went three lengths clear early in the straight and tiring late to be beaten on the line. Notes: MISS VIXEN (1st) was unwanted in the betting, huge odds and a drifter, she was well back and spotted the leader more than 6 lengths early in the straight. She eased wide and ran on brilliantly, she had been racing well enough and the price seemed a little generous, easy to say that now! MOET ROSE (3rd) ran on well from the back out wide, the other on-pacers were beaten off early in the straight. Race 5: Jack Elliott Handicap 3YO 2000m. HAN XIN (1st) cruised over to the top early from out wide, was only pressured minimally during the run, before setting up a 4 or 5 length margin mid-race. After coming back to them approaching the straight, he kicked again at the 300 and put a gap on them. Never in danger and could have won by further. Notes: ALPHA (2nd) had to do all the chasing and did well to hang on for second. They seemed to all have their chance with the genuine tempo, the winner couldn’t have been more impressive! Race 6: Robert Taranto Handicap BM84 1800m. Notes: After jumping well, NO COMMITMENT (1st) pushed on and sat up on the speed, a winning move it would seem. The pace was moderate, he got past the leader easy enough and was involved in a real ding-dong battle with MAGIC CONSOL (2nd) up the straight. The second horse was hug in defeat after sitting wide without cover throughout. PRIMA (3rd) looked to have every chance on the rails, YOGI (unplaced) was good resuming and was clearly the best of the back-markers. Race 7: Le Pine Funerals Easter Cup 2000m. Notes: A rough result in the second leg of the Quadrella, SHOREHAM (1st) settled well back before improving along the inside, got a rails run in the straight and was too strong for the favourite ODEON (2nd). He sat up on the speed in a genuinely run race, took over and effectively hit the front too early and was run over late in a brave effort. LIFE LESS ORDINARY (3rd), BERISHA (unplaced) and FASTNET DRAGON (unplaced) were all good in defeat but had their chances. Stick with Odeon, he was super. Race 8: mypunter.com Victoria Handicap 1400m. WIDGEE TURF (1st) dropped out to last early, settling a good 15 lengths from the leader THEANSWERMYFRIEND (unplaced). He pulled to the outside approaching the straight and was still a mile back, finishing better than any he got there at the 50m mark and the margin was comfortable in the end. Notes: The leaders looked to go too quickly, and the on-pacers didn’t feature. TURNITAROUND (2nd) looked for inside runs and hit the lead at the furlong only to be run down late. KEN’S DREAM (3rd) was in front of the winner and came with a nice run but had every chance. Two roughies that didn’t have a lot of room in the straight and may be worth following are ROYAL RUMBLE (unplaced) and FASTNET TEMPEST (unplaced). Race 9: Geoff Murphy Handicap BM84 1200m. HANDSOME THIEF (1st) sat back in the field and tracked three-wide to the turn before getting to the middle of the track and running on hard! He has been racing well this prep and finally got the win he deserved. Notes: MILWAUKEE (3rd) sat outside the leader, got the better of it early in the straight before rolling down to the rails and getting a couple of lengths clear. He was clearly tiring late when the winner went straight by him. EL SICARIO (2nd) was brave in defeat, stuck three-wide on the speed without cover throughout and after hitting a flat spot early in the straight, rallied again and was doing well through the line.